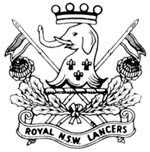 The Regiment dates from the inauguration of the Sydney Light Horse and other cavalry troops in New South Wales in 1885. In those pre federation days, the raising of such units sprang from a public-spirited wish to give voluntary service, and was not sponsored or directed by the government of the day. 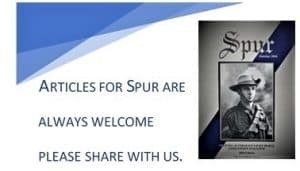 In 1899, a squadron of the Regiment, which had been training in England, became the first colonial troops to arrive in South Africa for active service against the Boers in the South African War. This squadron was reinforced by further drafts from New South Wales, it formed part of General French’s Cavalry Division. In the 1914-1918 war, the Regiment being militia, did not serve abroad, however, most of its pre-war members joined the AIF. Subsequently the Lancers were designated as successors to the 1st Light Horse Regiment of the AIF. It had fought at Gallipoli and later in Siani and Palestine as part of the Desert Mounted Corps. In 1956, the number “15th” was linked with the “1st” making the Regiment also the successor to the 15th Light Horse Regiment, AIF which had been formed in Palestine in 1918 from personnel of the Camel Corps. The Lancers was granted the title “Royal” in 1935. It was horsed until 1936, when it was motorised as a mechanised machine gun regiment. In 1942, it was incorporated into the AIF as an armoured regiment. Equipped with Matilda Infantry Support Tanks, it pioneered the use of tanks in the New Guinea jungle. Later in the seaborne assault by the 7th Division on Balikpapan in Borneo, the Regiment made the heaviest Australian tank attack of the war. It was the only armoured regiment of militia origin to go overseas, and the only Australian Armoured Regiment to be sent overseas twice. After the war, the regiment was equipped first with Matilda then Centurion tanks until 1971, when it was converted to a Reconnaissance Regiment, and equipped with the M113 family of tracked light armoured fighting vehicles. The Regiment with 21 battle honours, is the most highly decorated unit in the Australian Army. It celebrated its centenary in 1985, and looks forward to serving the nation in the 21st Century. The Lancers train at Lancer Barracks where the museum building, Linden House also stands. The buildings form the oldest continuously used military barracks on the mainland of Australia. They were erected on the orders of Governor Macquarie to replace earlier barracks in Parramatta town. Commenced in 1818, they were completed in 1820, the architect was Lieutenant John Watts of the 46th Regiment. They were to stand in an area of 3.25ha, and were designed for a company (approximately 100 officers and men). They served as a barracks for British regiments stationed here in convict days. Some of the men would have served under Wellington in the Napoleonic wars. The original buildings included the two-storey building overlooking the parade ground and the single storey “Bobs Hall” nearby. There was also a twin of Bobs Hall, equal and opposite to it. There were also stables, kitchens, and privies on the perimeter. The three main buildings form three sides of a square. The walls are of sandstock brick. The two storey building was of Georgian design; the balcony and verandah were added in the C1830s. During the 1830s, the number of troops quartered in Parramatta grew to over 360, several additional buildings in the town had to be used for military quarters. One of these was Linden House, then known as the School of Industry. When the garrison was withdrawn in 1850, the Police and Military Volunteers occupied the barracks. The Lancers came to Parramatta in 1891 when K Troop was added to the Regiment and was based in what was soon to be known as Lancer Barracks. After the South African War, the remaining single storey building was re-named “Bobs Hall” after Lord Roberts VC, the Commander in Chief. By this time land had been taken for railway and education purposes, and with the arrival of the Lancers, accommodation was provided for the permanent cadre. An Edwardian House for the Adjutant, and a cottage for the Staff-Sergeant. In 1910, a drill hall was added. The stables were converted to a Sergeants Mess, and an Officers Mess added in the 1930s. In the 1980s, the Officers Mess was demolished, and the Sergeants Cottage renovated as a mess; the Officer’s house was converted into offices. The three principal buildings in the barracks grounds are now protected against demolition under the New South Wales Heritage Act 1977.